With holiday season coming up and gift buying in full force, there is no shortage of toys to purchase and gift cards to write. In addition to gifts, however, holiday season is also big for vacations! That’s why we created this vacation activity guide of popular cities in America in which you can take a fun family vacation. 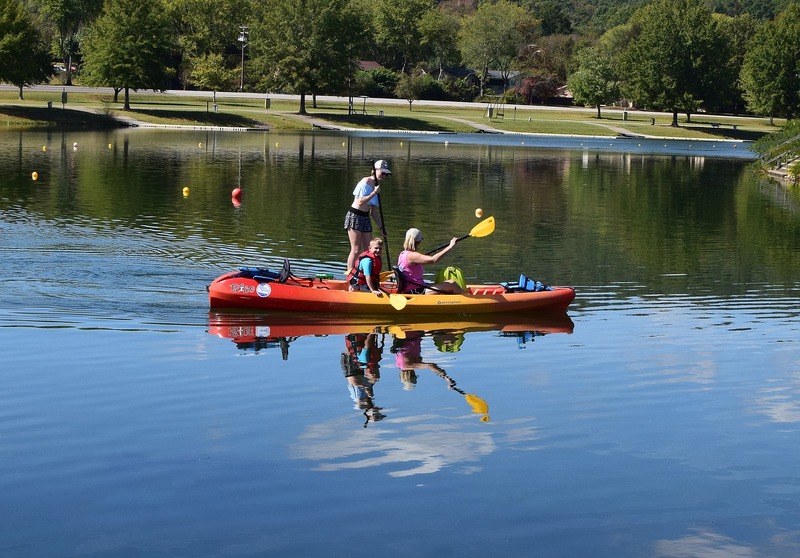 We’ve highlighted our two favorite activities for each city to give readers a quick breakdown. Any other cities you want added to our list? Let us know in the comments! Adventure Landing is the place to go for laser tag with fun mazes and strategic attack zones, miniature golf, batting cages, a go-kart track and a mega arcade with 75 interactive arcade machine games. You will have to drag your kids out of here! Located at Raleigh-Durham International Airport, RDU Observation Park, with a bird’s-eye view of the 10,000 foot runway, lets you watch planes landing and taking off, while the audio speakers let you listen in on pilot-tower communications. Sam Houston Boat Tours take you on a free, 90-minute boat tour of the second busiest U.S. port. Watch giant ocean freighters and barges navigate the many terminals located along the Houston Ship Channel, Buffalo Bayou and Galveston Bay. The 160-acre Buffalo Bayou Park, one of the country’s great urban green spaces, is located near downtown Houston. Kids will enjoy the 30,000 square foot Skatepark, bike trails (with reasonable bike rentals available) and a dog park if you’re traveling with the family pooch. Brooklyn Bridge: Walk, run, jog or ride a bike across the 1.3 mile bridge high above the East River, with panoramic views of Manhattan, Brooklyn and the Statue of Liberty. The Bronx Zoo is America’s largest zoo. The Bronx Zoo Treetop Adventure lets you sail 50 feet above the Bronx River and the park’s treetops on a massive 44-foot zip-line (ages 7 and up). Leave time to feed the sea lions and the penguins, and to visit the more than 4,000 animals at the zoo. Boondocks is one of Utah’s most popular family attractions. At Kiddie Cove younger children safely jump, swing, play, climb and slide in a huge four-story soft-play setting. Older children (at least 36” tall) can ride the Bumper Boats. 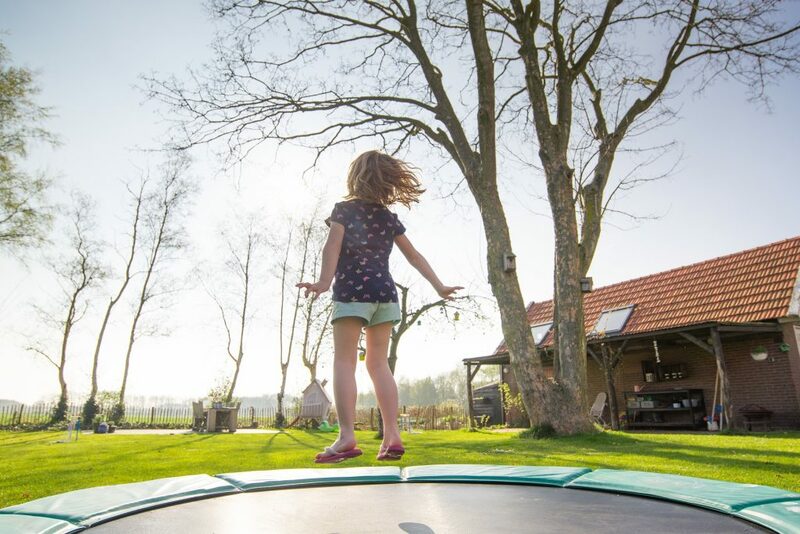 The wAIRhouse Trampoline Park, for ages 2 and up, also features two full Dodge Ball Courts, four Slam Dunk Basketball Lanes, a huge Open Jump Court and a Foam Pit. At Discovery Place Science you can walk through a rainforest habitat, explore hands-on exhibits (water tables, wind tunnels, building blocks and gears), visit an aquarium and enjoy the IMAX Dome Theater. Carowinds is an action-packed amusement park. For older children there are roller coasters and thrill rides. 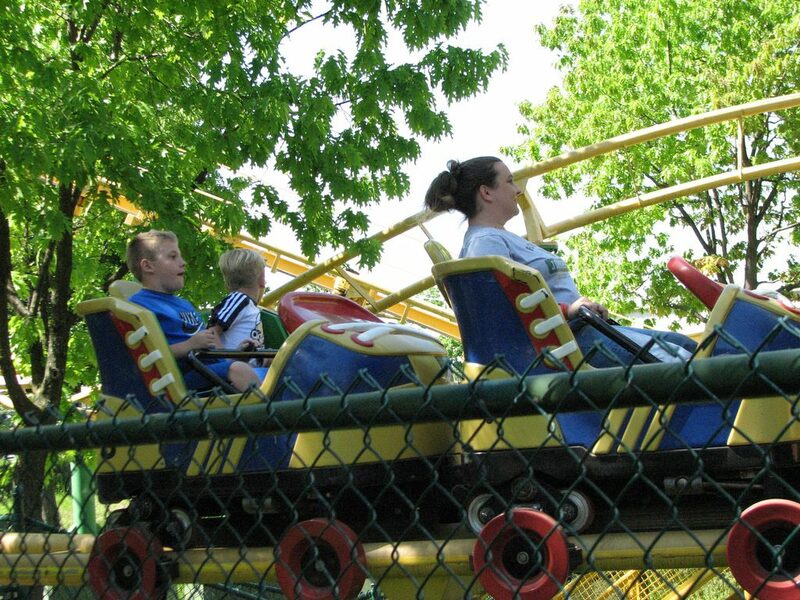 Younger kids will enjoy Planet Snoopy, full of fun rides and activities. Fort Worth Museum of Science and History: Learn about planets, find fossils in the DinoDig, and enter the Fort Worth Children’s Museum through a large dinosaur head where you will see live reptiles and amphibians, construct a train at the indoor building block site and play in the kid’s grocery. Flight Deck Trampoline Park is a massive indoor court of more than 90 connected trampolines. Parents with children six and under can check out the special Toddler Tumble Times, scheduled just for them. Virginia Aquarium & Marine Science Center exhibits sea creatures from around the world; with frogs, turtles and crocodiles in the Malaysian Peat Swamp, and Komodo Dragons and birds in the Indonesian Volcanic Island. See what it feels like to swim among these fascinating creatures at the National Geographic 3D Theater. The Pirate Cruise takes you around the beautiful Virginia Beach coastline with a twist. Capt. Jack’s Pirate Ship Adventure is a 1.5 hour experience, including a pirate show. Kids are invited to help Captain Jack find his stolen treasure. Discovery Children’s Museum has exhibits to interest kids of all ages, including The Summit, a 70-foot tower featuring interactive science exhibits as well as sliding and climbing structures. Solve It! Mystery Town is an interactive exhibit experience inviting visitors to join a team of archaeologists in solving mysteries. Gondola Ride at the Venetian will give your kids a taste of Europe in Las Vegas. Step into an authentic Venetian gondola, and float beneath bridges as you ride down the Grand Canal. At the Center of Science and Industry (COSI) kids can pretend to be astronauts exploring space in a space capsule, then “dive” into the deep sea in an actual submarine. Younger children can visit Little Kidspace to explore a farm, play in a tree house and drive an ambulance. Columbus Zoo and Aquarium In addition to seeing all the animals and fish at the zoo and aquarium you can try riding a camel, feed the giraffes, get up close with a kangaroo and touch a sea star and other creatures in a touch pool. Skate Station Funworks Skate in the roller rink, jump, run and crawl through the two-story soft play area, or play pirate-themed miniature golf. There is a rock climbing wall with easy, medium and advanced walls, and an arcade area with classic games like ice ball and air hockey. Museum of Science and History In the Atlantic Tales area, kids can experience a touch tank and scavenger hunt, while learning about the whales, dolphins and manatees of Northeast Florida. Younger children will love hanging out in the KidSpace, for children ages 5 and under, with a giant tree house to explore. Mega Cavern is a 17-mile man-made cave, made out of a former quarry. Take a Zip-lining adventure on the world’s only underline zip-line course (a 2-hour tour). Learn about the geology and history of the cave with a cave tour conducted by bike or tram. Kentucky Kingdom is an amusement park with roller coasters, swing rides and a water park. The theme park has white knuckle rides and rides aimed at younger kids too. There is a 5D cinema, a sea lion show and a play area. 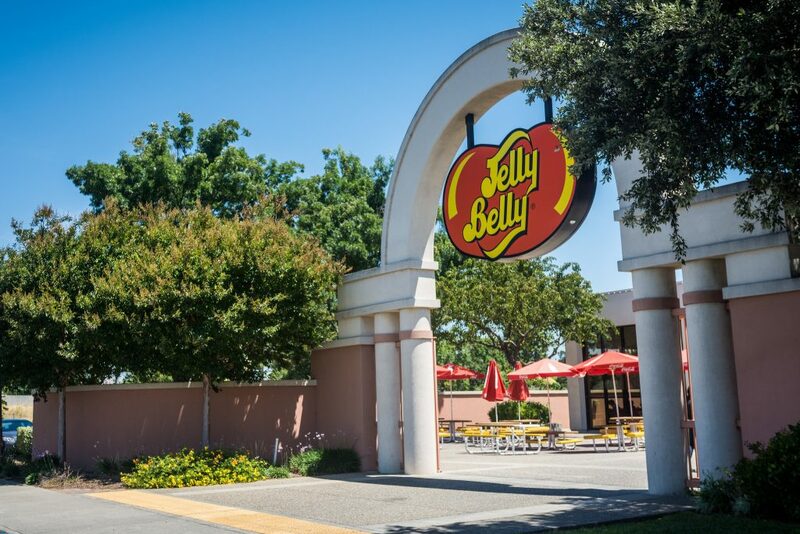 Jelly Belly Factory See where one of the most famous jelly bean brands are made. The factory tour is free, with free samples at the end of the tour. Rockzilla has over 64 rope walls, chimneys and boulders to climb. With different levels of difficulty, there is something for everyone to try. All the necessary gear can be rented onsite. Children’s Museum of Indianapolis Step inside and be on the lookout for Tyrannosaurs, Triceratops and more. Or board a modern Chinese airplane and “fly” over the Great Wall of China and the Forbidden City. At the Rhythm! Discovery Center kids can make all the musical noise they want, learn about many types of drums and other percussion instruments, and get a chance to try them out on their own. In the Groove Space exhibit, children can play on instruments from around the world, including drum sets, cymbals, djembes and wind chimes. Adventure Science Center Crawl through a beating heart, generate power by pedaling a bicycle, play with your shadow and climb through the roof to see a spectacular view of downtown Nashville. Younger children will love the Imagination Playground, where they can build with giant foam blocks. Grand Old Golf & GoKarts Choose from three different miniature golf courses, race a go-kart on a one-of-a-kind race track, spin around in bumper cars and play games at the arcade. North Point Lighthouse Climb the lighthouse tower to see great views of Milwaukee and Lake Michigan. Children can learn how the light was used to guide ships in the lake. The grounds outside the lighthouse have trails for nature walks and play equipment. Palermo’s Pizza Factory Learn how pizza is made. The tour starts with a video, showing the history behind Milwaukee’s hometown frozen pizza. 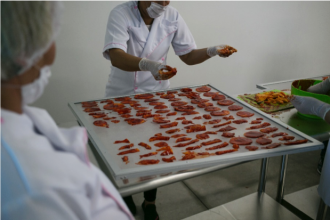 See the pizza making in process, with a bird’s-eye view of the production floor. Greenfield Village Learn how the first electric light bulb was made and how flight was discovered. There are loads of hands-on activities, with a ride on a Model T car, climbing aboard a real steam-powered train and visiting the animals at one of the four working farms. The Detroit Zoo Get an underwater view of penguins swimming above, around and below you. The zoo is home to more than 2,000 animals, from anteaters to zebras with hundreds of other species in between. Frontier City Theme Park is packed with rides and activities. There are high-flying dragons, lazy river canoes, spinning tea cups and pint-sized swings. Take an adventurous ride on the Grand Carousel, a giant Ferris Wheel and train rides.